United Nations General Assembly. Flickr / UN Photo / Paolo Filgueiras. Some rights reserved.In April 2016, the UN will dedicate, for the third time in its history, a United Nations General Assembly Special Session (UNGASS) to discuss global drug policy. The UNGASS has the potential to be a ground-breaking moment that could change the course of the international drug control system. However, political divisions and entrenched institutional dynamics have dampened hopes that it will go down in history as the beginning of the end of the war on drugs. 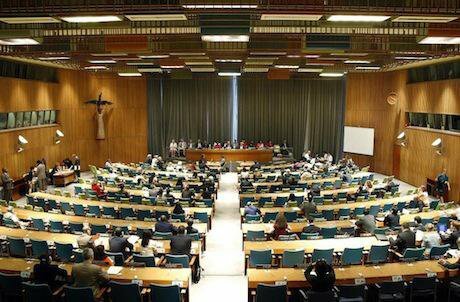 At the joint request of Mexico, Colombia and Guatemala, the General Assembly decided to bring forward the convention of a special session to assess “the achievements and challenges in countering the world drug problem”, originally foreseen for 2019 or 2020. The three countries stated at the time that “revising the approach on drugs maintained so far by the international community can no longer be postponed”, and the UN needed to exercise leadership to "conduct an in-depth review analyzing all available options, including regulatory or market measures, in order to establish a new paradigm that would impede the flow of resources to organized crime groups". An international meeting had to be convened, “capable of taking the decisions necessary to increase the effectiveness of the strategies and instruments with which the global community addresses the challenges of drugs and their consequences”. Conventional drug control wisdom has put forward the view that stopping the supply of drugs at the source would solve the ‘world drug problem’, but Latin American countries bear witness to the failure of this approach. Stirred into action by the futility of spending billions of dollars to fight an unwinnable and increasingly violent war on drugs, it is no surprise that political leaders from Latin America have been at the forefront of the drug policy debate. From their perspective, the high human cost in terms of violence, insecurity, mass incarceration and the exacerbation of the social and economic vulnerability of some of society’s most marginalised groups – can no longer be justified as necessary collateral damage in pursuit of eradicating drug markets. These difficult negotiations, which on the surface often appeared to be arguments over procedure, reflected the deep political divisions within the international drug policy debate. The much-revered ‘Vienna Consensus’ continues to weaken as the divide between some governments becomes increasingly irreconcilable. A growing number of countries now believe that the traditional repressive drug control approach, based on zero-tolerance, has not worked and has led to disastrous consequences for human rights, public health, citizen security and sustainable development, and as a result it has to be modernised. The much-revered ‘Vienna Consensus’ continues to weaken as the divide between some governments becomes increasingly irreconcilable. In the end, the hard fought-over resolution on the procedures decided that the UNGASS “will have an inclusive preparatory process that includes extensive substantive consultations, allowing organs, entities and specialized agencies of the United Nations system, relevant international and regional organizations, civil society and other relevant stakeholders to fully contribute to the process”, while the CND “as the central policymaking body within the United Nations system dealing with drug-related matters, shall lead this process”, inviting the president of the General Assembly to “support, guide and stay involved in the process”. UN special sessions are rare and crucial moments in UN-level policy making and are designed to ensure a coherent UN system-wide response to global problems of major concern to the international community. This has so far been less than optimal in discussions on global drug policy. After initial slow engagement from other key UN agencies, significant contributions have now been made from UNDP, UNAIDS and the WHO. The Office of the High Commissioner for Human Rights has also submitted a comprehensive report that outlines the most pertinent human rights violations in relation to drug control policies, while the Human Rights Council held a high level panel in September 2015 on the topic of “the impact of the world drug problem on the enjoyment of human rights”. A Civil Society Task Force (CSTF) was convened to ensure the participation of civil society in the process. The CSTF has representatives from every region of the world, as well as representatives of the key affected populations such as people who use drugs and subsistence farmers growing drug-linked crops among others. Initially, formal recognition of the CSTF was challenging – civil society has always had to fight for visibility and access at the CND but over the last year there has been increasing support for this initiative from governments. A major victory for the CSTF was explicit support from the president of the General Assembly, who presided over an Informal Interactive Stakeholder Dialogue in New York on the 10 February 2016 organised with the CSTF in support of the preparatory process. The calls for progressive policies based in principles of harm reduction, of public health and of human rights from global civil society were deafening at the event. There are crucial areas where a strong European voice has been absent. Russia, alongside several Asian and Middle Eastern countries, has played hardball in the negotiations.